This page can also be used to upload your data files to our secure server. Using your own artwork? We want to make the process quick and easy. Please fill out the form below. 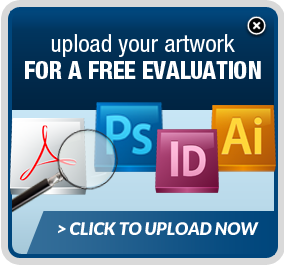 Use the "Upload File" field to locate the artwork on your computer and upload it directly to our FTP server. Your upload will generate an automatic notification to our graphics team and to your sales representative, who will confirm receipt of the files.